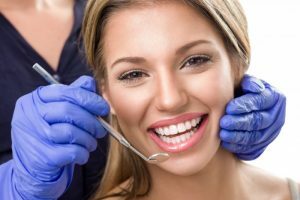 Can Your Dentist in Washington DC Improve Your Smile? One of the best things that you can do for your smile this year is pay better attention to your oral health. That means acting with intention when it comes to your oral hygiene at home. Plus, you should be scheduling and keeping your dental appointments with your dentist in Washington DC. How Do Dentists Help Improve Oral Health in 2018? Believe it or not, the way our smile looks and functions directly affects how you feel about yourself. After all, when you first meet someone, one of the very first things they will notice about you is your smile. If you don’t feel good about it, it can be difficult to feel good about yourself in social situations, in the work place, or even when you look in the mirror. That’s why you probably find yourself hiding teeth more often than you show them off. The imperfections—or possibly health concerns—that you have among your smile cause you to feel less than great about yourself. Not to worry though, your dentist provides comprehensive dental services to boost oral health and aesthetics. Whether you need replacement tooth, or simple teeth whitening, or anything in between, your dentist is here to help. Here are some of the dental services that you should take advantage of in the new year. The biggest rule to remember to optimize your oral health is that you should practice prevention as much as possible—including visiting your dentist every 6 months. It’s best to take care of the smile that you already have rather than having to fix problems and then try to maintain it from there. Your dentist will provide thorough dental checkup and deep cleaning to keep your smile in good shape. As mentioned above, your dentist is here to help you correct any imperfections that may be putting a damper on your smile and your confidence. Explore the different cosmetic dental services that could brighten your teeth, mask dental flaws, or straighten your teeth! Restorative care is for patients that have a damaged smile that is bringing down their overall and oral health. Plus, replacing missing teeth or restoring damaged teeth will improve your aesthetics as well! Learn more about dental restorations during a scheduled consultation. Whatever your smile needs are, your dentist wants to help you reach your smile goals in 2018! Take advantage of what your local office has to offer! Here at Aesthetic Family Dentistry, we want every patient to feel confident visiting us for their dental care. Each patient that chooses us as their dental care provider should walk into our office knowing that whatever their concern is, we can help them with it to reach their smile goals. Call us today to learn how our dental experts can improve their smile in 2018. Comments Off on Can Your Dentist in Washington DC Improve Your Smile?